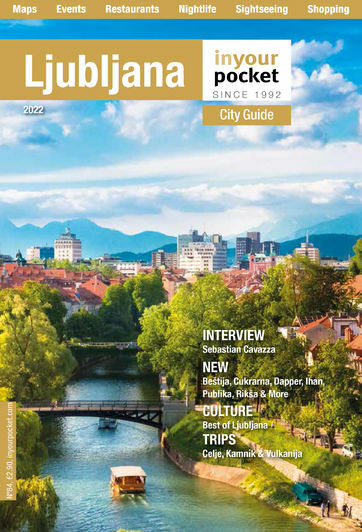 Best of Spring in Ljubljana for 2019 - Voted by Locals! Spring is objectively the best season, but what are the best things about spring in Ljubljana? Our local editorial team has done the difficult part and narrowed down all of their favourites in eight different categories, and now it's up to our readers to make the final decision by casting their votes! Aside from extra daylight and flowers blooming, nothing is more noticeable in Ljubljana in spring than cafés, which is why we've included three separate categories for them, namely, Best Riverside Café, Best Garden or Terrace and Best Coffee. Outdoor activities are well represented with categories for Families & Kids, Parks & Green Spaces and Fitness Centres, since it's never too early to start getting in shape for beach season. We've also included Golf Courses throughout the country, because we're optimistic that 2019 is the year in which golf finally catches on, and last but not least, our readers need to vote for their favourites Car Rental companies, since car is the best way to see all that the sunny side of the Alps has to offer. Voting will be open from 5-19 April. Thanks in advance to all the voters and best of luck to all the finalists! All questions, comments and angry screeds can be sent to ljubljana@inyourpocket.com. And if you're bored, last year's winners can be found below.